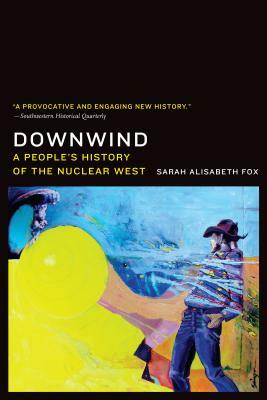 Downwind is an unflinching tale of the atomic West that reveals the intentional disregard for the inhabitants and the environment in nuclear testing by the federal government and in uranium extraction by mining corporations during and after the Cold War. Sarah Alisabeth Fox interviews residents of the Great Basin region affected by environmental contamination from the uranium industry and nuclear testing fallout. Those residents tell tales of communities ravaged by cancer epidemics, farmers and ranchers economically ruined by massive crop and animal deaths, and Native miners working in dangerous conditions without proper safety equipment so that the government could surreptitiously study the effects of radiation on humans. With the renewed boom in mining in the American West, Fox’s look at this hidden history, unearthed from years of field interviews, archival research, and epidemiological studies, is a must-read for every American concerned about the fate of our western lands and communities. Sarah Alisabeth Fox is a freelance writer and editor. Her articles and reviews have appeared in Montana, the Magazine of Western History and Western Historical Quarterly.